This is a Dragonknight tanking build for ESO, intended for most players. The build is updated for the Wrathstone DLC and will be updated for Elsweyr. 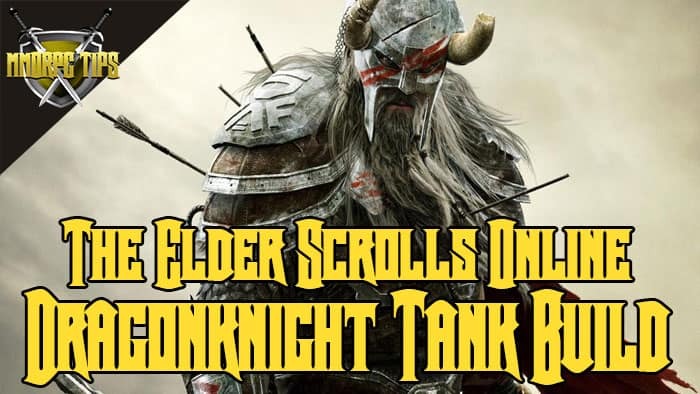 If you have any questions about the Dragonknight tanking build, leave a comment below. You attribute will vary a lot. Allocate them to get Magicka, Health and Stamina pools to suit your style. Should I play as a Vampire as a Dragonknight Tank: Yes (optional). Best Mundus Stone for a Dragonknight Tank: The Atronach, Increased Magicka Recovery > The Lord, Health. There is a wide variety of skills available to you as a Dragonknight tank. What are the best weapons to use as a Dragonknight Tank? It is recommended that you have one bar for one handed and shield, and one bar for either lightning or frost staves. The first number indicated below is for a 810 champion point build. The second number within the ( ) is for 300 champion point builds. There is a lot of Dragonknight tanking gear to choose from. Below is a selection of viable gear.